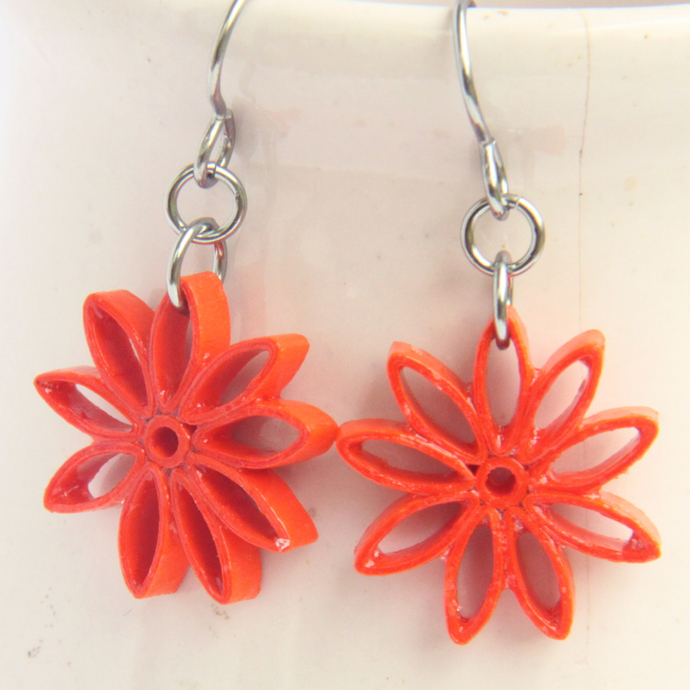 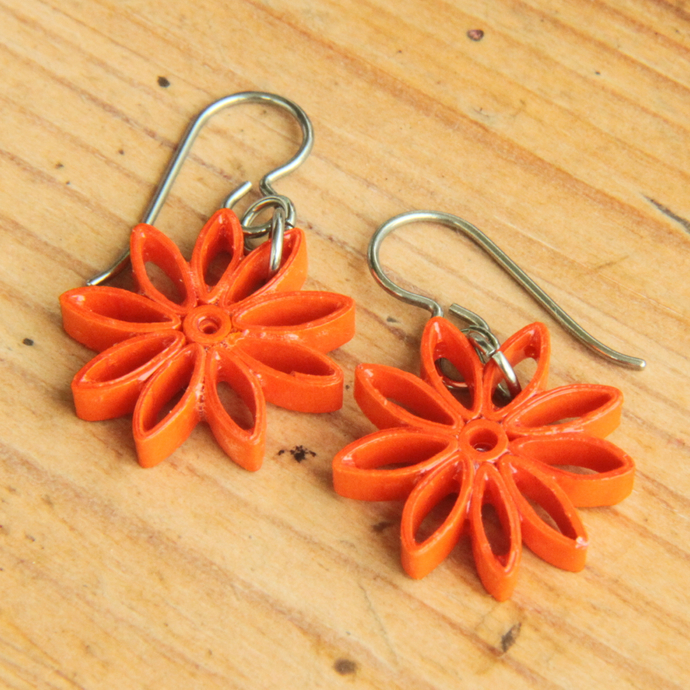 These eco-friendly nine pointed star earrings are handcrafted by the art of paper quilling. 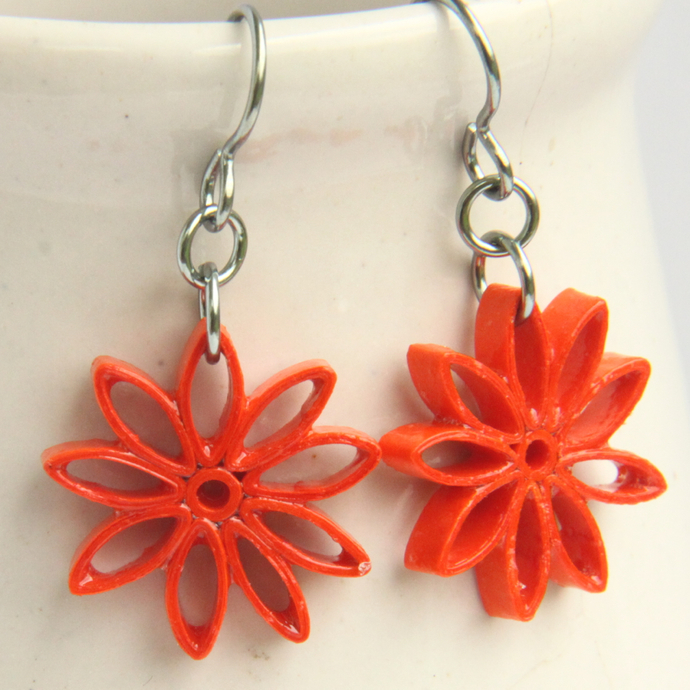 I used strips of fun bold orange to make this cute flower-like design. 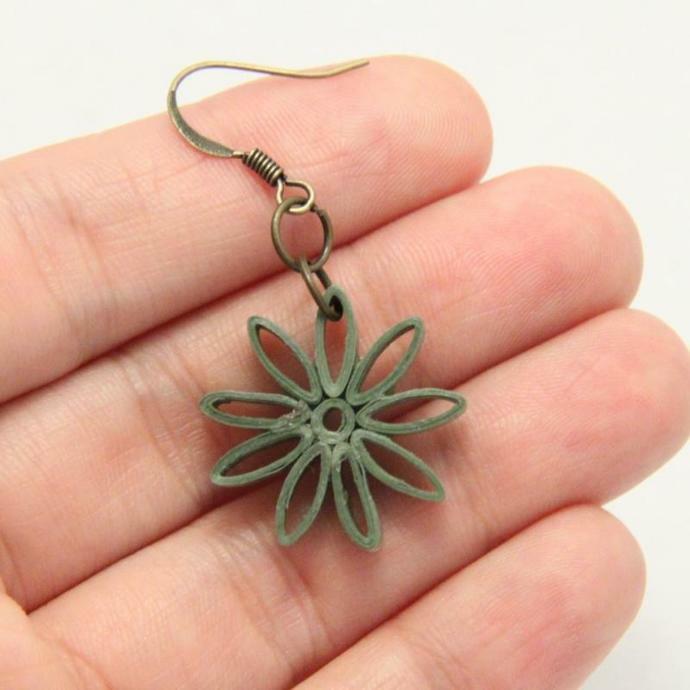 This color for some reason is hard to photograph. 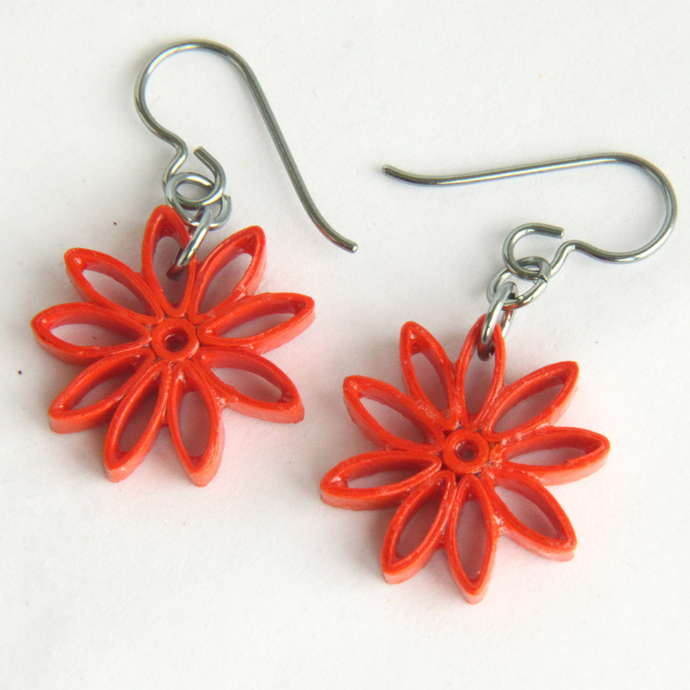 It is a nice bold orange!